Ropa Sans Pro font by the Bulgarian type designer Botio Nikoltchev (lettersoup type foundry) is a high-tech Sans Serif typeface family consisting of 8 weights plus italics and small caps forming a plenitude of 32 fonts. 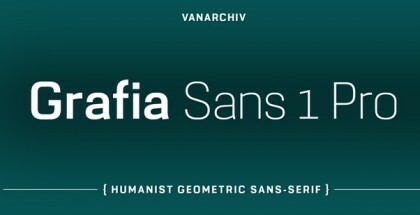 The Ropa Sans Pro font upright styles have a distant relationship with the technical aesthetics of the early-20th century DIN series, while the italic styles share the humanistic features adding unique flavour and vitality to the type family. 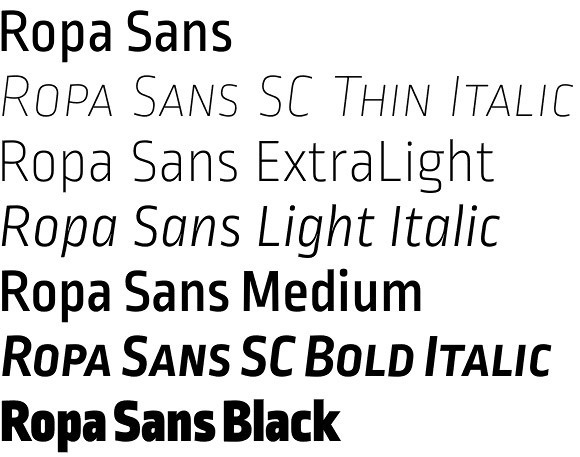 Four styles (Ropa Sans, Ropa Sans SC, Ropa Sans Italic and Ropa Sans SC Italic) are available free of charge. 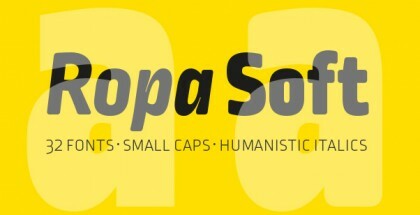 Ropa Sans Pro font is suitable for headlines and editorial use. It provides advanced OpenType features such as case-sensitive forms, fractions, super- and subscript characters, and stylistic alternates. It comes with a complete range of old style and lining figures, witch are in tabular and proportional widths. In addition to an extensive coverage of Latin-based languages, Ropa Sans Pro provides essential support for the Cyrillic and Greek writing systems. It is manually hinted and optimized for screens, hence it has an excellent web-font, eBooks or Apps performance. lettersoup has also released the Latin-only basic subset of Ropa Sans Regular and Italic under the SIL Open Font License. In 2014, Botio Nikoltchev set up the commercial type foundry lettersoup, based in Berlin, Germany. The main focus of lettersoup is cooking fonts with Latin, Cyrillic, Greek and Arabic taste.